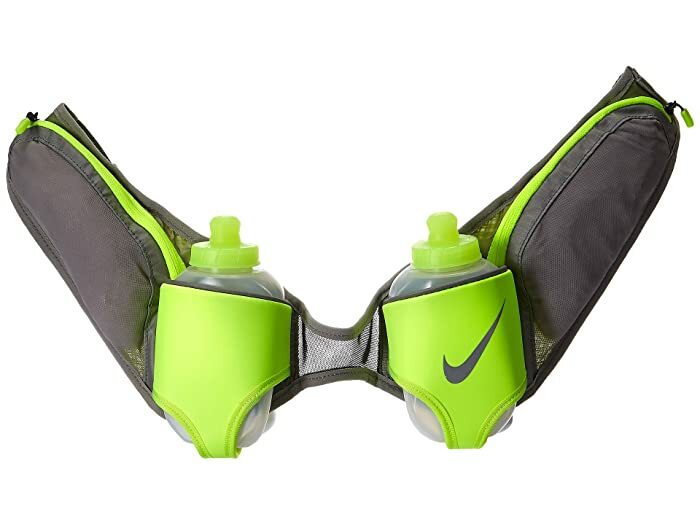 Stay hydrated on your next run with the Nike® Double Flask Belt. Adjustable waistbelt with stabilized design. 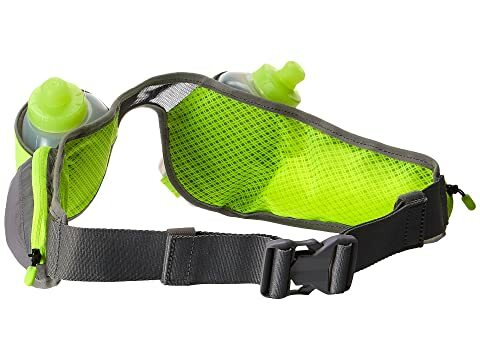 Two 10oz ergonomic canteens, both lightweight and comfortable to hold. Two zip pockets for personal items and race gels. Adjustable belt with snap closure.